Neck Pain is a pain posteriorly anywhere between the skull base and thoracic spine. It is the largest cause of musculoskeletal disability after low back pain. Approximately two-thirds of the population will suffer from neck pain at some time in their life with high prevalence in middle ages. Fortunately for most people the acute pain resolves within days or weeks although in some it may reoccur or become chronic. Be a part of a more widespread systemic problem such as ankylosing spondylitis, rheumatoid arthritis, fibromyalgia etc. Neck pain usually has a multifactorial etiology -poor posture, neck strain/injuries, anxiety, depression and stress can play a role in magnifying the perceived pain. Quite often the diagnosis of simple or nonspecific neck pain is used implying postural and mechanical causes; this is contrary to other serious causes of neck pain such as fracture, tumour, infection etc. Pain from upper neck can radiate towards the head leading to frequent headaches and that from the lower part of the neck can radiate to the shoulder, arm, chest wall and the scapula. Reduced neck movement along with localized areas of muscle tenderness known as trigger points are commonly observed along with pain. Like with other chronic pain conditions, multi-disciplinary management based on the biopsychosocial model of pain is the preferred approach. Please follow these links to find out how medication optimisation, physiotherapy, Psychology and complimentary therapies such as acupuncture TENS and meditation can help. Spine has many vertebrae and small joints called facet joints link them to each other. The main function of these joints is to provide stability while allowing some degree of movement. These joint commonly become painful and stiff as a result of wear and tear, inflammation or injury. The resulting pain is generally described as a dull ache, heaviness that can radiate towards head, shoulder and scapula. Investigations such as x-rays and MRI may or may not show joint changes. MRI findings alone cannot be relied on to make the diagnosis, as every arthritic joint is not painful. A more reliable test to determine if these joints are responsible for your pain is accurately placed neck injections and if the pain reduced significantly then these joints are the likely source of pain. Injections for facet joints are performed under x-ray or ultrasound guidance as a day case procedure. The procedure involves placing needles at the precise location under x-ray guidance followed by injection of local anaesthetic and steroid mixture in or around the joints. It may take a few days and sometimes weeks for the full effects of the injections to become apparent. These injections are used as tests to diagnose facet joint pain and assess whether the radiofrequency treatment will be beneficial or not. The target in these injections is the nerves carrying the pain sensation from the facet joints (compared with the joints themselves in facet joint injections). The procedure involves placing a small amount of local anaesthetic at specific locations under x-ray guidance. The resulting nerve block temporarily abolishes the pain if the source of pain is the facet joints. The decision to proceed with radiofrequency is taken based on the degree and duration and of pain relief obtained from these diagnostic injections. The third occipital nerve originates from the cervical spine and supplies sensation to a joint in the neck (C2-3 zygapophyseal joint) and a small area at the back of the head. This nerve or the joint it supplies can be a source of headaches localised to the back of head on one side. Sometimes the pain can spread towards the top of the head. This occurs more commonly after whiplash injury. A diagnostic block involving injection of local anaesthetic close to the nerve can help determine if this nerve is the source of your headaches. This is performed under x-ray guidance. If the diagnostic test is positive then radiofrequency ablation of the nerve can provide long lasting relief. Epidural space is present in the spine around the sac containing the spinal cord and the nerves. It extends from the back of head to the bottom of spine. Epidural injection involves placing a needle in this space under x-ray guidance. A dye (contrast agent) is used to confirm needle placement before a mixture of local anaesthetic and steroid is given. The level at which the injection is performed will depend on the pathology site and the pain distribution. Stellate ganglion is a collection of special type of nerves called sympathetic nerves lying at the base of the neck. These nerves control blood flow, sweating, temperature sensation and are sometimes involved in transmitting pain. Stellate ganglion block interrupts the flow of signals in these nerves and as a consequence reduces pain and increases blood flow to the arm. These injections are used in conditions when sympathetic nerves are involved in transmitting pain such as complex regional pain syndrome, post herpetic neuralgia (PHN) and in conditions with reduced arm blood supply such raynaud's syndrome, frostbite. This injection is performed for diagnostic or therapeutic reasons using ultrasound or x-ray. The effects from the injection can help streamline further treatment plan and provide an opportunity to interrupt the pain cycle, engage in physical therapy. Pulsed radiofrequency treatment can help in prolonging the benefits if the effects of block are short lasting. Occipital nerves originate from the neck and travel to the back of the head and scalp. On route the nerves are liable to compression at points where they cross different muscle planes. Compression or trauma to these nerves gives rise to occipital neuralgia which presents as a burning, shooting, aching pain at the back of head. It may also result from degenerative changes or nerve compression at the level of cervical spine. 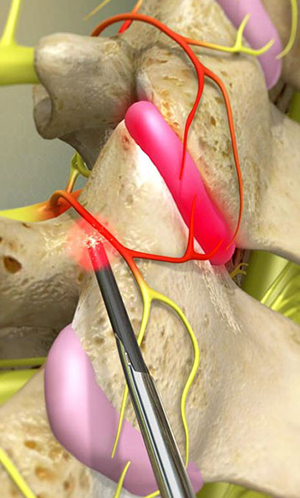 Occipital Nerve block is performed using ultrasound guidance. It can be performed at the back of head however sometimes a deeper injection is required in cases of proximal entrapment. A mixture of local anaesthetic and steroid is injected and the spread of the medications can be directly visualised when using ultrasound guidance. Pulsed radiofrequency can help to prolong the analgesic effect. Carpal Tunnel syndrome is a term given to symptoms secondary to entrapment of median nerve in the carpal tunnel. Median nerve is one of the main nerves of the hand and during it course from forearm to hand it travels through a space between the bones and ligaments called the carpal tunnel. Narrowing of the carpal tunnel can cause pressure on the nerve which presents as numbness, pins and needles/ abnormal sensation and pain in the part of hand supplied by the nerve. Weakness of some of the finger and thumb muscles can occurs in severe cases. Some of the causes of narrowing include pregnancy, wrist injuries, obesity, conditions such as diabetes and hypothyroidism. Ultrasound guided steroid injections are a treatment option for patients with mild to moderate symptoms. These are used in combination with rest, wrist splint, physical therapy and medications. Ultrasound scan can also help in the diagnosis of condition. Guyon’s canal syndrome or Ulnar tunnel syndrome is caused by entrapment of ulnar nerve as it travels through the wrist. Fracture or trauma to wrist bones, abnormalities of the ulnar artery can cause compression of the nerve. Symptoms include pins and needles, reduced sensation, pain and muscle weakness affecting the little and the ring finger which are innervated by the ulnar nerve. Ultrasound guided steroid injections can help in pain control and resolution of symptoms. These are joints between the first and the second vertebrae of the spine. These joints can be affected by degenerative and osteoarthritis changes giving rise to headaches or pain localised to the base of skull / top of the neck along with limited neck rotation. Injection of this joint can be performed under x ray guidance. These have to be performed carefully due to proximity of important structures such as spinal cord and blood vessels supplying the brain (vertebral artery). The injection involves checking for needle position using a dye (contrast) followed by injection of a mixture of local anaesthetic and steroid. These are common problems involving staining/overuse of forearm tendons which attach to the bony prominences on the upper arm bone close to the elbow joint. Tennis elbow involves the tendons attaching to the outer side of elbow and repetitive activities involving gripping or twisting of forearm makes this pain worse. It may affect one or more tendons and it’s not uncommon for the pain to radiate down further into the forearm. Golfers elbow involves the tendons on the inner side of elbow. Treatment involves activity modification, physiotherapy and painkillers. Dry needling, Steroid or PRP injections are considered for cases not responding to simple measures. 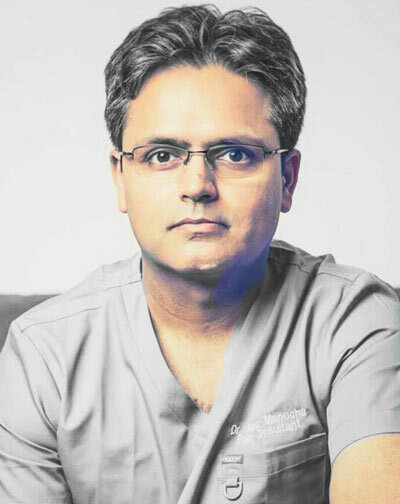 Ultrasound can be used to help in diagnosis and a guided injection can be performed at the same time. This condition results from irritation of two tendons as they travel from the wrist towards the thumb. Irritation results in inflammation, swelling and thickening of the tendons or their covering (sheath) impacting their ability to glide freely as is required during wrist and thumb movements. It is seen more commonly in women and presents as pain, swelling at the base of thumb, wrist.